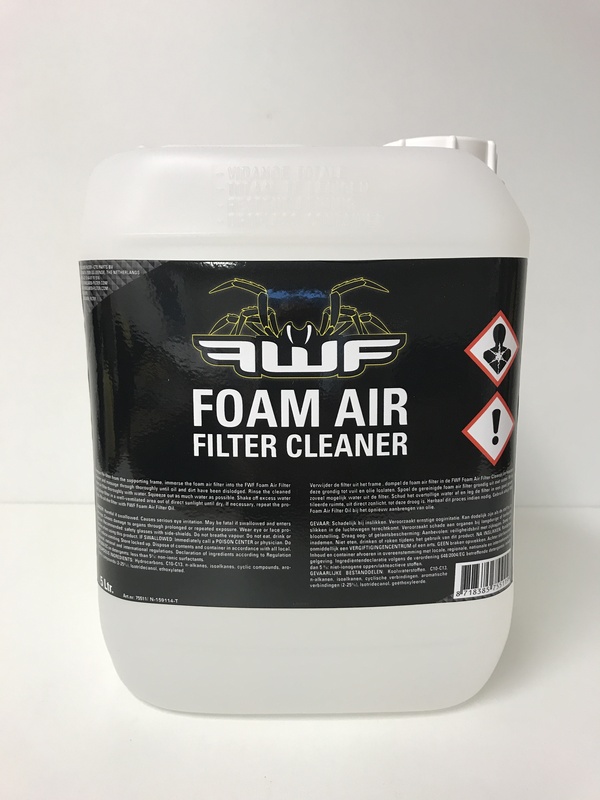 FWF Foam Air Filter Cleaner comes in a 5 Liter can. The Original FWF Foam Air Filter Cleaner is a special product made for cleaning dirty air filters. The cleaner will easily penetrate the dirty filter and loosen all dirt in and on the filter. The Original FWF Foam Air Filter Cleaner will directly move all the dirt out of the filter while flushing it. Quickly you will have a clean FWF Foam Air Filter.